Welcome to Stop 19 of the Consequences Audio Tour! If you’re in a hurry to listen to Chapter 19: PRETTY BOY, hurry over to REAL TASTY PAGES BLOG RIGHT NOW! Me: Run run to REAL TASTY PAGES to find out! Got a few minutes? 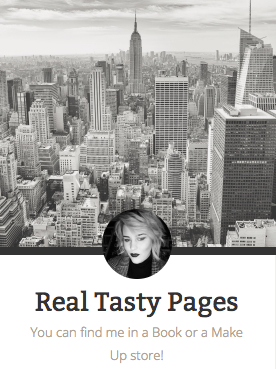 Please meet today’s host, REAL TASTY PAGES—a fabulous book blog that’s the brain (love?) child of the fabulous Eleanor, who loves to share her lifelong book obsession with the world. I “met” Eleanor and Real Tasty Pages in one of those lovely random cyber-world incidents—she dropped a link to her a blog in a comment on a post by author Brooke O’Brien, to whom I had just been introduced by author Amanda Siegrist because we had both been part of Amanda’s Christmas in July blog hop… anyway, I landed on Real Tasty Pages and… It’s just a beautiful blog. Eleanor writes from the heart—in-between reviewing and celebrating books, she writes about her life and some really intensely personal stuff, and one of those posts, on her family’s IVF journey, just tore my heart into bits. A librarian from Dublin with so much going on in her life, I am so very very grateful she accepted my invitation to be part of the Consequences Audio Tour, and I hope you and her readers enjoy the “Pretty Boy” chapter, in which Elizabeth… yeah… spoilers. Thank you, Eleanor & Real Tasty Pages​! 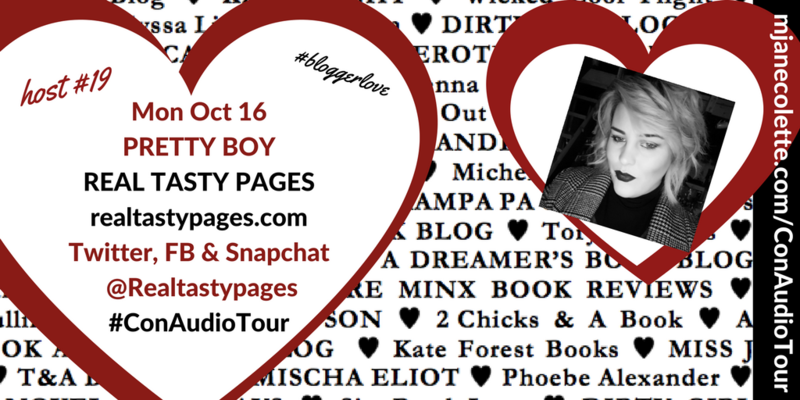 You, dear reader, are about to become a dear listener, and to do that you need to get over to Eleanor’s blog and listen to PRETTY BOY.